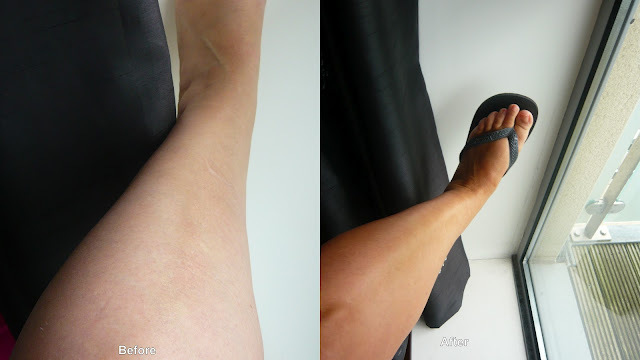 If you will remember a short time ago I got my first spray tan from Carter Beauty (read about that here). 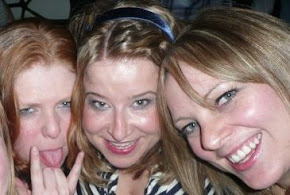 I loved it, proof of this is the fact that I returned last week for another spray tan. Last weekend my cousin was getting married and since I was wearing an old dress (dam you recession for making me shop from my wardrobe) the easiest and cheapest way to make me fancy was to get a spray tan. Off I went to Carter Beauty (with my friend who was so jealous of my tan last time she had to get sprayed) for their wonderful €15.00 spray tan. Last time I forgot to take before and after pictures - this time I was better prepared. The only thing was I was a bit awkward taking pictures of my limbs - I really should have used a mirror (lesson learned). I don't really tan - I golden up slightly but I am half ginger so besides the fact that I have to look after my skin in the sun - it just doesn't tan. Carter Beauty give three options Light, Medium and Dark. I went for a medium tan. I think this colour is perfect for Irish skin, that tan looks natural so natural that people at the wedding didn't think I had a spray tan, they thought I had been on holidays. I know some people will think that this is not dark enough - well your probably the kinda person who likes to look like an oompa lumpa. Of course when I was going home I got saturated, literally wet thought so I had to dab the rain drop prints with my index finger - I was worried that this would effect the tan but it turned out perfectly. It was hotter that evening so I did notice the smell a little more. My friend - who shall henceforth be called Princess D (cause she is a princess) texted me the first night to say that she smelled - well actually her husband face booked me to tell me she smelled. But since then she keeps texting me to tell me how delighted (and what a ride) she is with the tan - told you she is a princess. 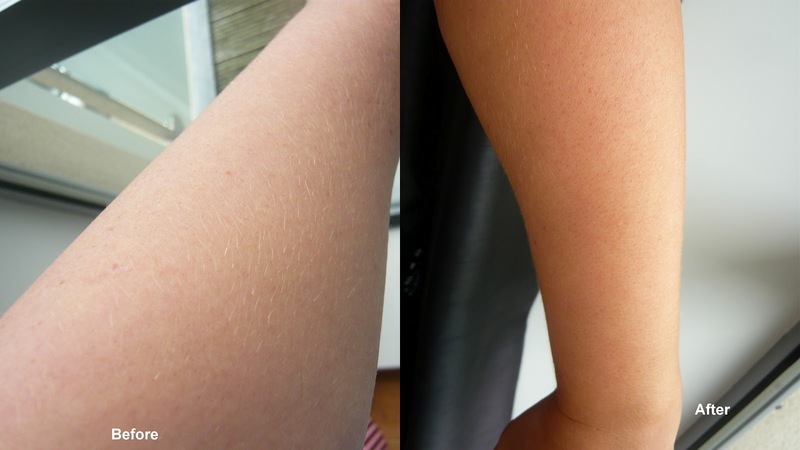 So to update - I am still delighted by Carter Beauty's tan, its pretty and natural and better still amazing value. It is Holy Grail for me and more importantly Holy Grail for Princess D (and she is a princess so uber hard to impress). Carter Beauty, 40 Main St, Blackrock, Co. Dublin. It looks really natural and gorgeous! A tan really does make people look like rides, it looks weird on me because I'm really freckly. Saying that, I've never had a spray tan!